Contributor: AB Forces News Collection. Writing for the New York Times a year after Hurricane Maria hit Puerto Rico, Frances Robles and Jugal Patel write about Punta Santiago, a town of 5,000 people, as a window through which to assess the state of recovery efforts. (NPQ visited Punta Santiago last year and wrote about it.) Their report is based on visits to 163 homes in two neighborhoods. 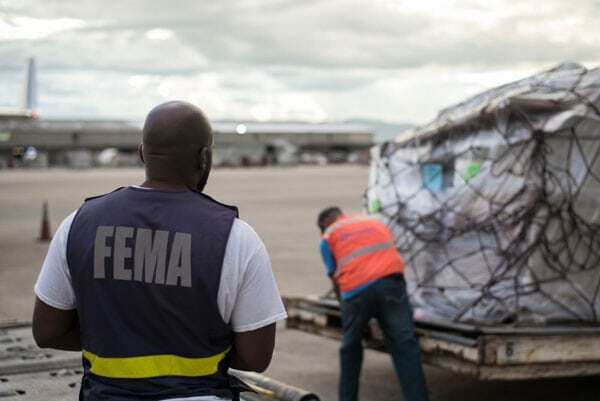 Robles and Patel note that of “1.1 million households who requested help from FEMA [after Hurricane Maria], about 58 percent were denied,” and more than three-quarters who appealed were denied again. Even for those whose applications were approved, the median grant given to repair homes was $1,800, compared with about $9,127 paid out to survivors of Hurricane Harvey in Texas, and only one-third of the grants exceeded $3,000. Overall, FEMA grants in Texas totaled twice as much as Puerto Rico’s, even though 51,000 fewer people in Texas received grants. Robles and Patel describe how this played out in Punta Santiago. They write, “Seven hundred and forty-six of the area’s 1,554 homes were so badly damaged they needed emergency repairs in order to be habitable. But only 512 families were eligible for cash grants for their damage. The median grant handed out was $1,812.” By contrast, a cheap replacement roof might cost $5,000—and a storm-worthy roof, $15,000. But FEMA only compensates for actual losses, not replacement value. New programs being adopted may be more effective. For instance, FEMA has funded to the tune of $1.6 billion a Puerto Rico Department of Housing program called Tu Hogar Renace (Your Home Reborn), which provides far more adequate funding per home, but to date only a little over 80,000 homeowners have received assistance through this program. More broadly, an $18.5-billion US Department of Housing and Urban Development (HUD) allocation will help, although federal rules may impede effectiveness. For instance, HUD grants are limited to those earning 120 percent of median income or below. While this may seem reasonable, in a community like Punta Santiago with a median income just over $20,000, that means a family earning $25,000 a year is ineligible for assistance. On top of that are housing title complications. In Puerto Rico, FEMA has denied aid to those who can’t provide clear title. Some groups, like the Puerto Rico Builders Association, “suggest that about 55 percent of the island’s infrastructure—more than half—was informally built, including 700,000 houses and commercial buildings,” according to an NBC News account.